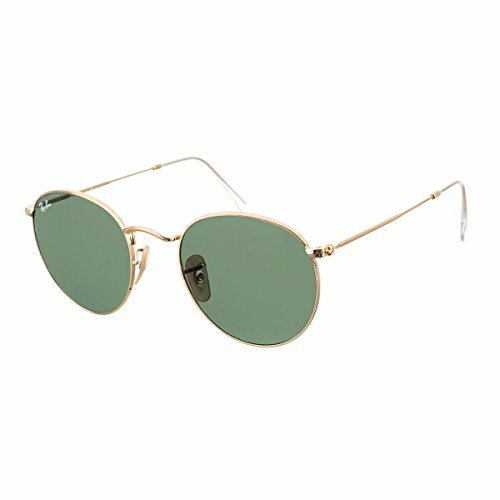 Round Ray-Ban sunglasses with textured metal frames. Green lenses. Silicone nose pads. Case and cleaning cloth included.